Call your friends, family, and neighbours! 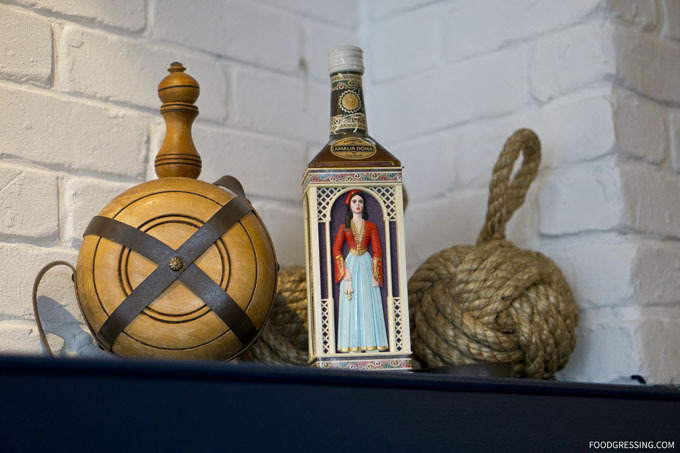 You’ll need them to join you on a delicious traditional Greek dining experience at Nammos Estiatorio in Fraserhood. At Nammos Estiatorio, the menu is designed for family-style sharing and rightfully so – there are many interesting and tasty dishes you’ll want to try. I was invited by Nammos Estiatorio for a dinner experience where I got to learn more about their story and try a few of their dishes. 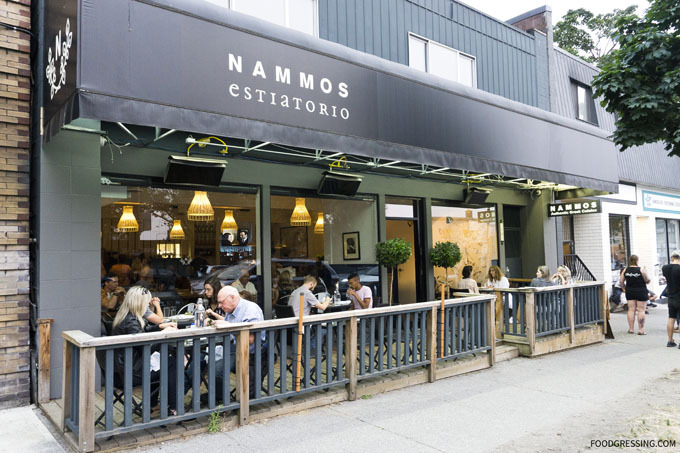 Nammos Estiatorio is a newish family-owned restaurant in the neighbourhood having established in 2016. The restaurant is owned by the Kerasiotis family who are not strangers to the restaurant industry. The family also owns and operates long-standing Olympia Pizza in Kitisilano, which has become an institution in Vancouver, as well Vancouver nightclubs – Celebrities, the Venue and the Caprice. At Nammos Estiatorio, you’ll see more of the younger generation of Kerasiotis family on the forefront, Yianni and Petro, and their cousin Chef Iggy in the kitchen. I had the chance to also meet mother Effie who was dining with friends that evening. The restaurant boasts a welcoming and friendly atmosphere. 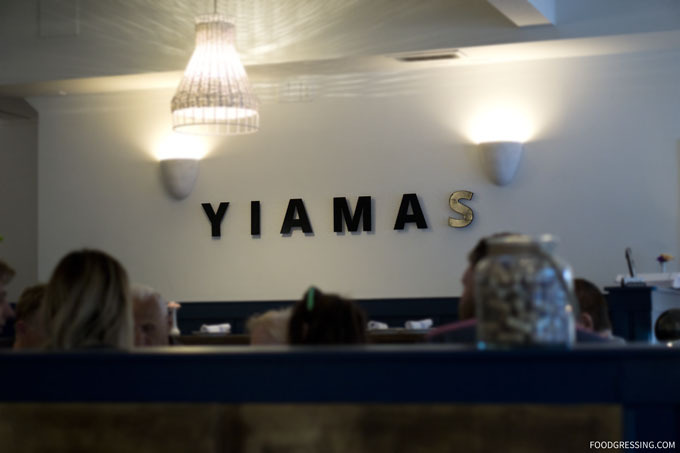 The words “Yiamas” meaning “Cheers!” in Greek adorn one side of the wall. I found the interior to be comfortable, spacious with many interesting and beautiful Greek-themed decor. It was airy, modern yet still felt like a traditional Greek restaurant. 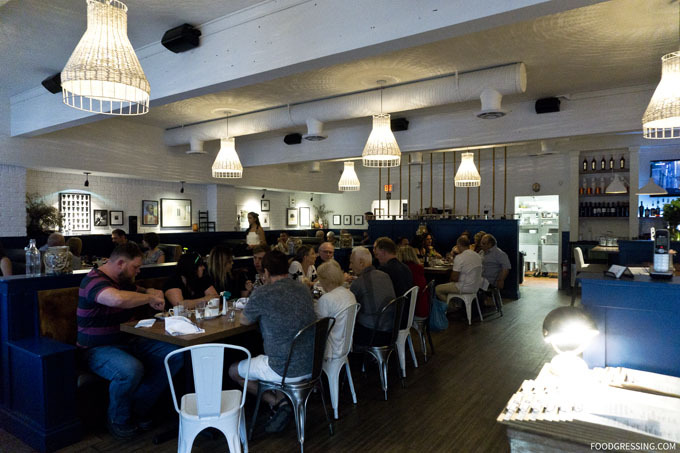 There is a variety of seating including booths, patio seating and large tables for groups. On a Saturday night, the atmosphere was lively as many large groups had come in for dinner. If you want to dine with a larger group and share dishes, Nammos Estiatorio is a good place to do so. 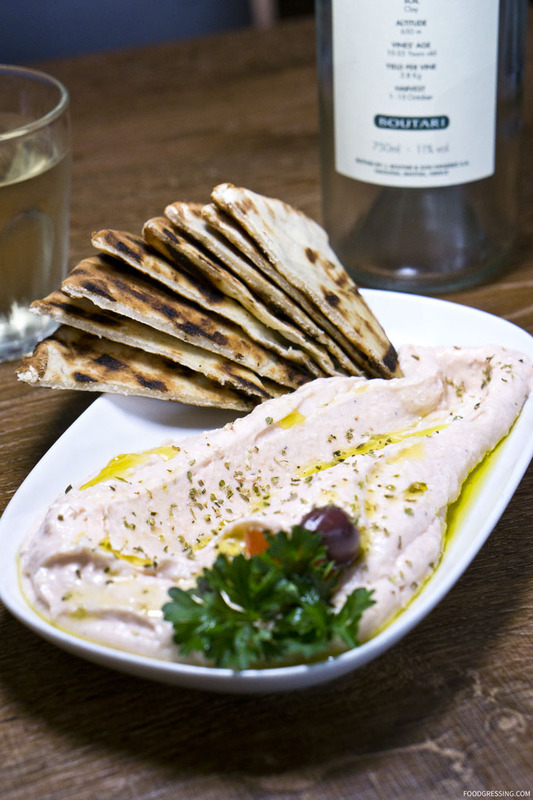 To start, we enjoyed the Taramosalata (Greek fish roe dip) accompanied by pita bread. I loved the rich, tangy flavours of the dip as well as its luscious smooth texture. I enjoyed it so much that after we finished the pita bread I still continued to eat the dip on its own. Furthermore, eating fish roe is a great way to get your Omega-3 fatty acids and protein. The Grilled Octopus was done just right. It was firm and nicely chewy but definitely not rubbery. 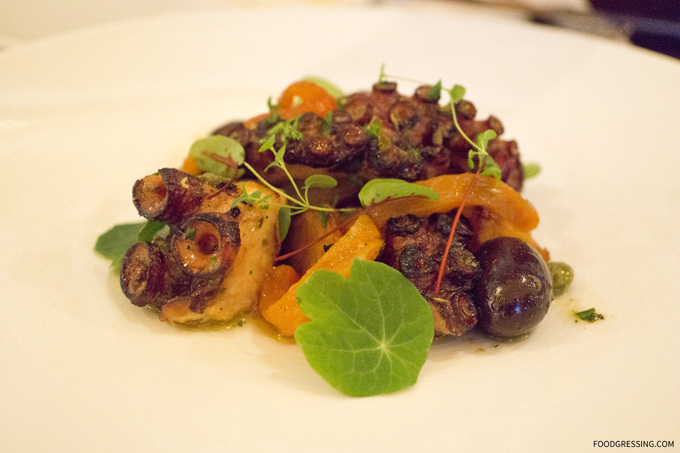 The octopus had a slight sweetness to it and was tossed with EVOO, vinegar and fresh oregano. Kristina was quite taken by the EVOO that she continued to eat it on its own after we had finished the octopus. The Beet Salad was very flavourful and refreshing. I quite enjoyed the bursts of sweetness from the cubes of beet. 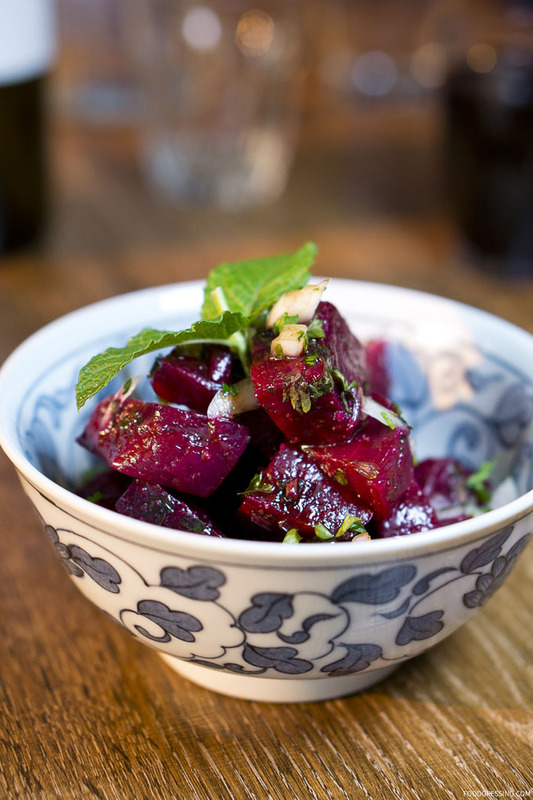 I usually am not a lover of beets but this salad changed my mind. The Moussaka was a heavenly dish with eggplant, zucchini, potatoes, ground beef, and béchamel sauce. The Moussaka had a melt-in-your-mouth sort of deliciousness. 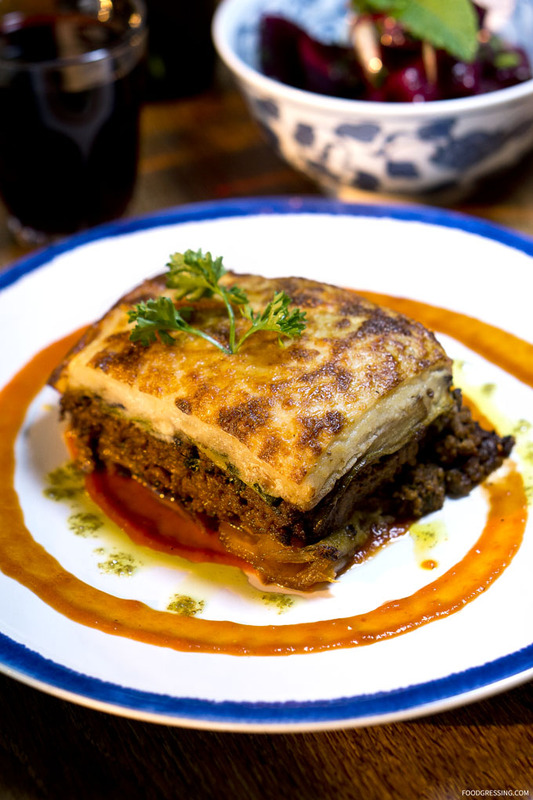 Kristina seamlessly cut through the soft layers of the Moussaka and it looked mouthwatering as it happened. I loved the creamy texture of the Moussaka and it had a subtle sweet taste. Really delicious overall. 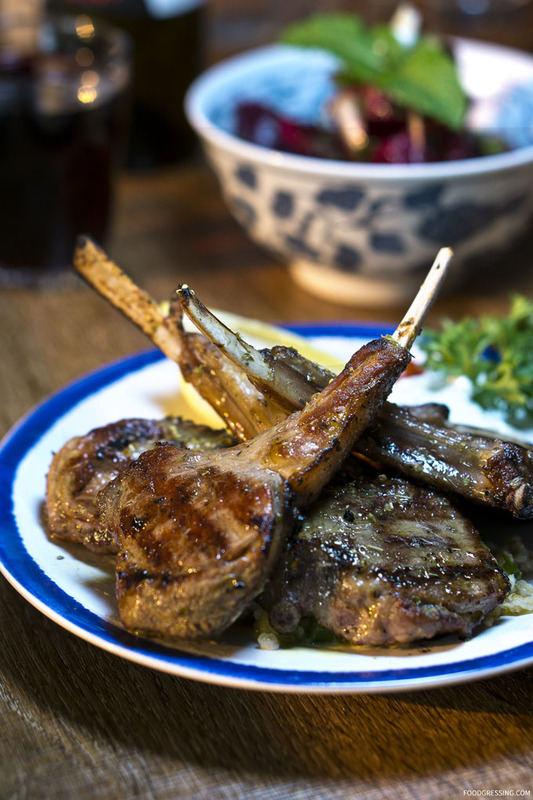 The Lamb Chops were also very good being tender with a velvety texture. I liked the smoky flavour and the meat fell off the bone easily. 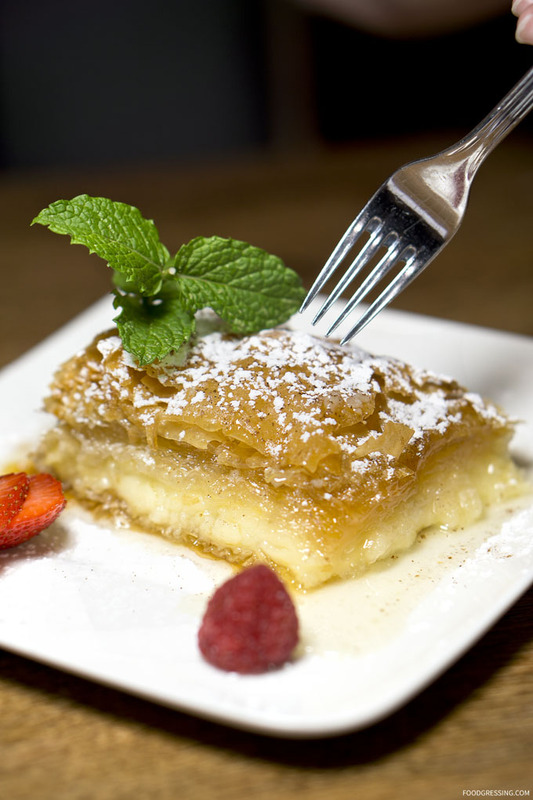 To finish off a fantastic meal, there was the Baclava me Tsokolata. It was a rich, sweet dessert pastry made of crispy layers of filo filled with chopped walnuts chocolate pieces and held together with honey. The dessert came with a scoop of Earnest Tahitian Vanilla ice cream. 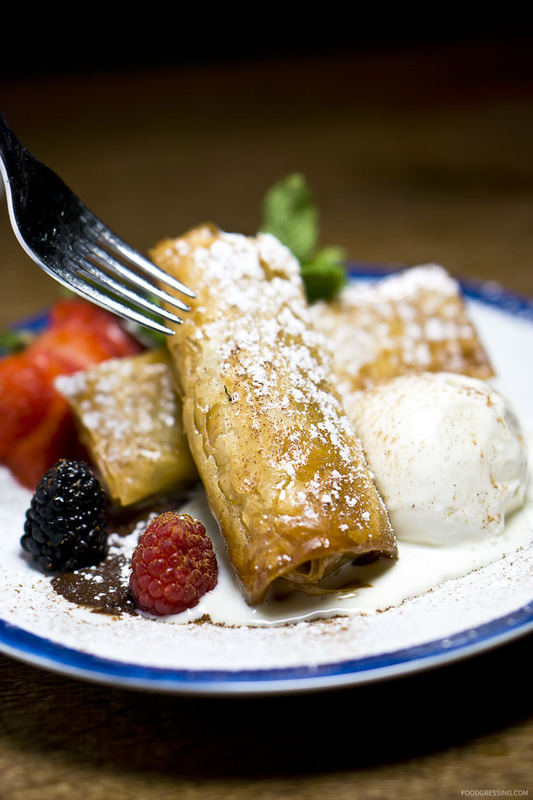 We also had the Daily Dessert Special, Galoktobouriko, which is a traditional Greek dessert made with a custard in a crispy filo pastry shell. The custard was ultra creamy and had a fragrant smell of syrup. 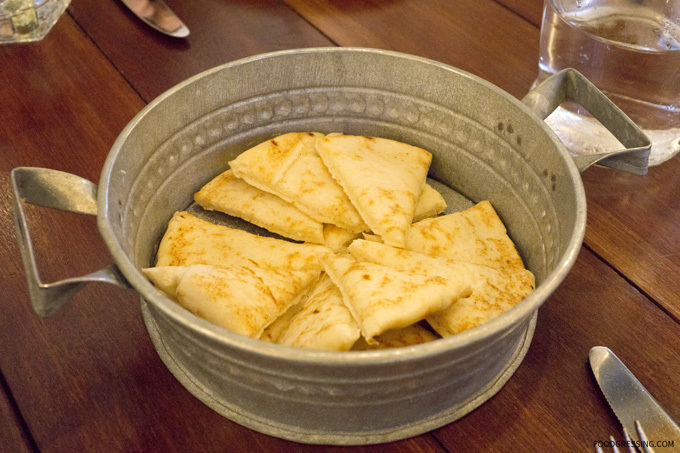 I really enjoyed the family-style Greek cuisine at Nammos Estiatorio. My favourite dishes from the tasting were the Taramasalata, Beet Salad, Moussaka and Baclava me Tsokolata. Disclosure: I was invited to a media preview for The Greek by Anatoli. Have you got your reservations for the 11th annual Taste of Yaletown yet? It is happening next week from October 15 – 26. This year, there are 26 restaurants participating showcasing creativity and diversity from chefs in their menu combinations, which will be offered at set prices of $25, $35, $45. I attended a Taste of Yaletown preview this week where we sampled delectable dishes from two of Yaletown’s finest restaurants, Minami and The Greek. 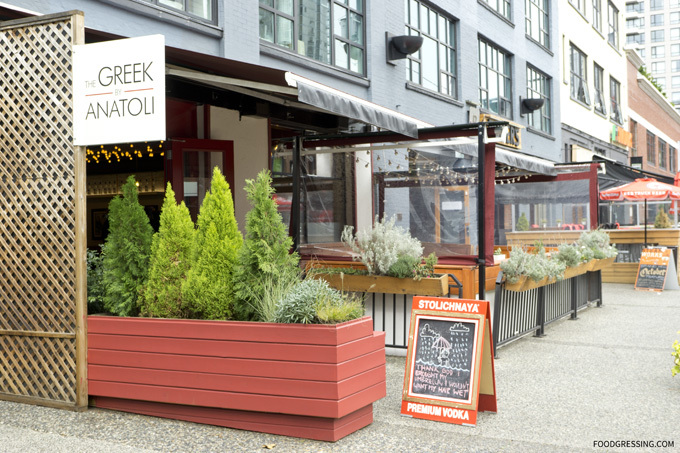 In the second of this two-part post, I will give you a sneak peak of the Taste of Yaletown menu from The Greek by Anatoli. Our second restaurant stop of the media preview is one of the newest additions to the Yaletown dining scene, The Greek by Anatoli. For Taste of Yaletown, they are offering a $35 dinner menu. We tried three of their appetizers from the Taste of Yaletown menu. 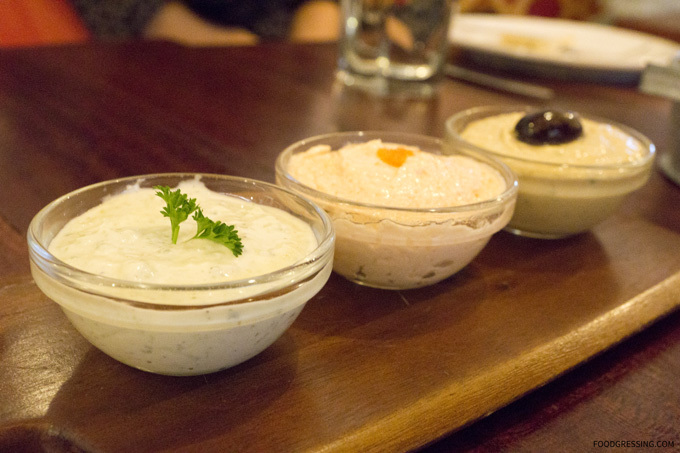 The first was the dip trio of Greek caviar, humous, tzatziki with pita bread. My personal favourite was the Greek caviar but they were all wonderfully creamy. I tweeted live at the media event about the delicious spanakopita with spinach and feta in a crispy phyllo pastry. One appetizer with interesting flavours was the Octopothi which included grilled octopus, capers, red peppers, and olive oil. The octopus had crispy exterior bits while the interior was tender. 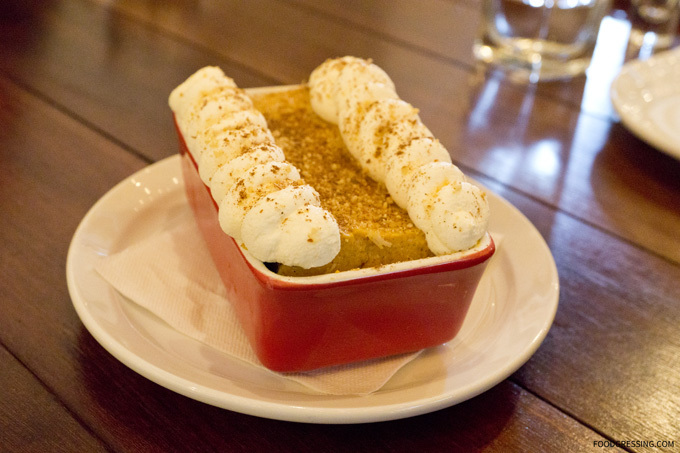 For dessert, we tried the Ekmek which was made of pumpkin custard, shredded pastry, whipped cream, and almond dust. It was wonderfully rich and creamy, and subtly sweet. 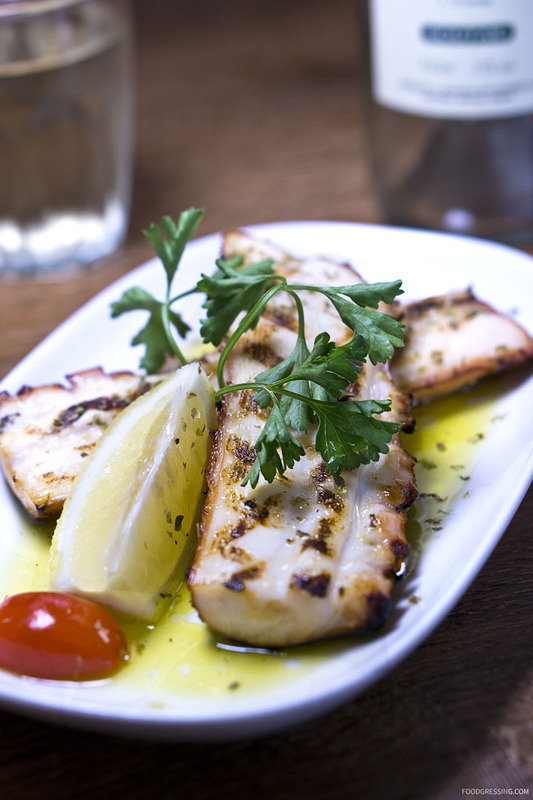 The Greek’s delicious Taste of Yaletown menu can be found here. As you see, there are some amazing eats offered during Taste of Yaletown. 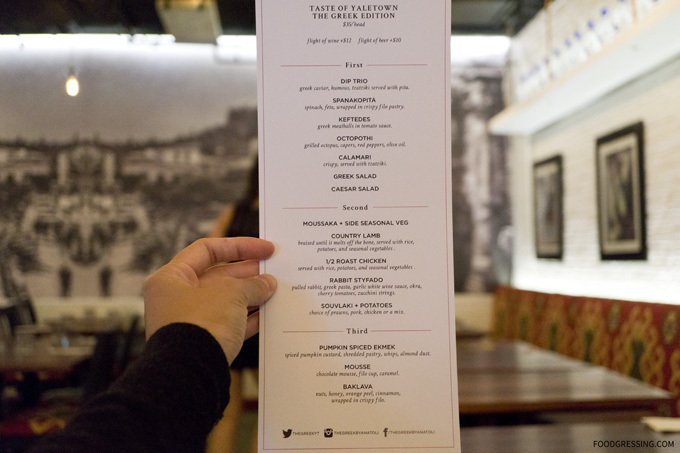 For more information on Taste of Yaletown and the participating restaurant menus, visit their website. Remember to tag your social media shares with the official Taste of Yaletown hastag: #TOY2015. Bon Appétit! You can read more about Part 1 of the media preview here, Minami, here. I have been a customer of Stepho’s Souvlaki Greek Taverna on Davie for nearly 15 years. My husband and I got introduced to Stepho’s through his roommate who was a foodie. The three of us tired and hungry students would drive down from UBC to Stepho’s and devour our meals. We continue to visit Stepho’s to this day and have their phone number in our contact list for takeout. Anyone who has been to Stepho’s can describe the portions as generous for the price. From what I have seen, people always end up with bring leftovers home. The entrees at Stepho’s are around $12-$15. Slouvakias come in two sizes: small (around $9) and large (around $13-14). In an expensive city, there is great value in the food from the quantity that is served. In terms of quality, the food is delicious but slightly greasy, which is not so much an issue when you are in the mood for comfort food. 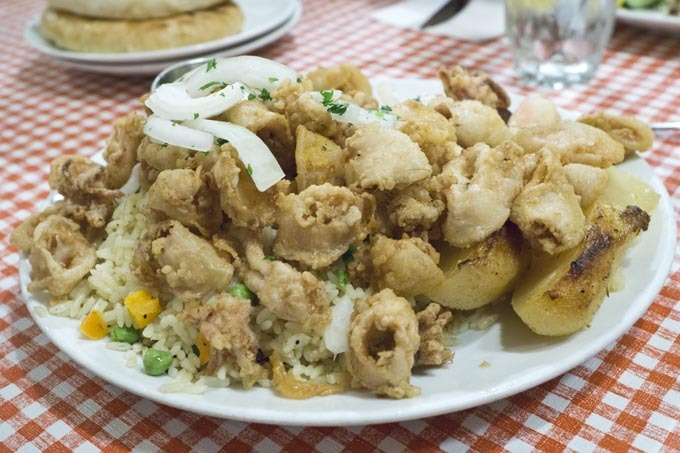 My favorite dishes from Stepho’s are the roast lamb ($14) and the calamari dinner ($12). 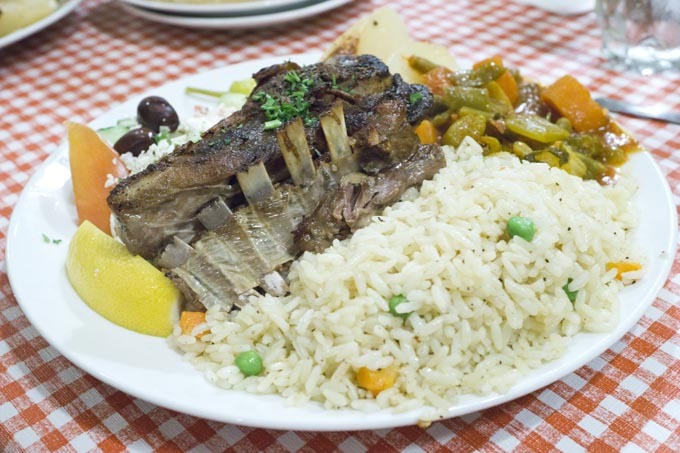 The roast lamb comes with roast potatoes, rice pilaf, vege briami, tzatziki sauce and greek salad. The lamb is very tender and I love the vege briami. 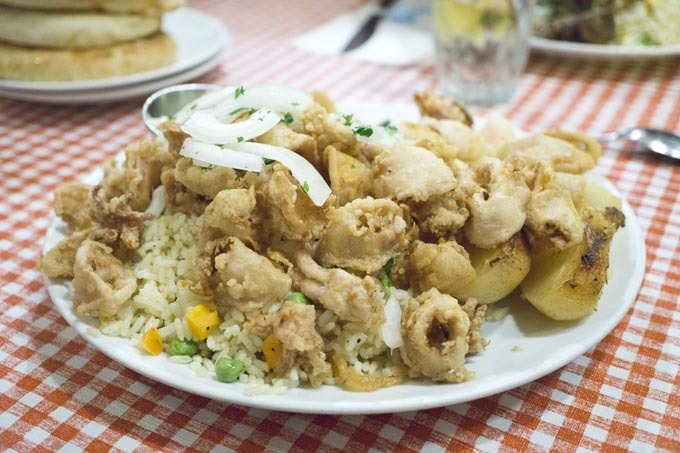 The calamari dinner comes with rice pilaf, roast potatoes and greek salad. I always love seeing the calamari all piled up. The calamari crispiness can be inconsistent, with it sometimes being a bit soggy. However, most of the times I’ve ordered, it has been wonderfully crispy. Around dinner time, you can see takeout orders lined up behind their counter ready for customer takeout. Here is a look at the roast lamb takeout. 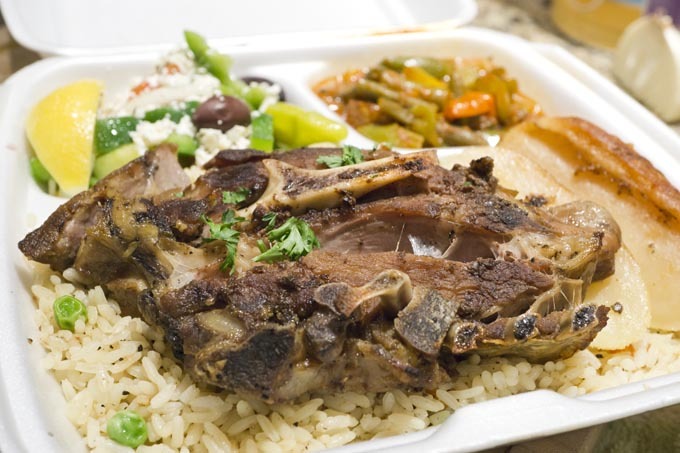 If you are around in the West End, Stepho’s offers yummy Greek food with great portions and price. Service is reasonable and I have noticed that many servers have been there for many years. Dine-in or take-out, the food at Stepho’s is satisfying to the stomach.